There have been a number of well-argued suggestions that Australia should introduce nuclear powered submarines (SSN)  and, more recently, an emotive argument that a conventional submarine is not up to the task  required by Australia’s strategic circumstances, and that we could have SSN for less than the cost of the current program. Nuclear propulsion removes the need to expose the submarine by snorting to recharge batteries and confers much greater mobility—an SSN can travel at high speed for prolonged periods enabling it to be more effective in a sea denial role (i.e. guarding the approaches to Australia). Food, stores and the effectiveness of the crew become the practical limit on endurance. Australia obtains maximum benefit and deterrence by exploiting a submarine’s stealth to gain access to sensitive areas, where we don’t control the sea surface or air above it, for intelligence gathering or striking key targets afloat or ashore. These areas are a long way from Australia, necessitating long transits and will be increasingly heavily protected. The benefits of nuclear propulsion combined with our requirements could indeed justify a move to an SSN fleet. I will focus on the manpower issues—this is not to belittle the other important factors, but manning the capability is the first priority. Australia would require the ability to ensure and oversee the safe operation of such a force. I do not believe that the Australian public would accept the notion of delegating this to another nation under a leasing agreement. The SSN skillsets ashore and afloat are significantly more demanding than a conventional submarine. For example: each SSN carries two command qualified officers and five marine engineering officers—compared to a conventional submarine’s one of each! The regimes of technical supervision, training and independent auditing of nuclear procedures is significantly more demanding, with very experienced personnel required to comply with best practices. The training and development of these individuals takes a long time, for example nuclear engineers/technicians may take 15 years following qualification to reach the necessary levels of experience to oversee the safe operation of the capability. Having modeled the career paths necessary to achieve these experience levels I believe ten SSN is the minimum to sustain the critical mass of manpower. A smaller force will not generate the number of experienced personnel to safely supervise its operation. As a rule of thumb the size of the Submarine Arm is driven by the number of qualified crew at sea, for every person at sea the Arm should contain another 1.6 – 1.8 people. So the crew size of the chosen SSN is a key determinant. For a fleet of ten of the larger British or American SSNs, an Australian submarine arm of about 3,400 would be required. The smaller French SSN would require half this number. Australia currently has a submarine arm of about 600—there’s no credible way to grow the additional qualified manpower while overcoming the technical challenges of a transition to nuclear propulsion in time to replace the Collins class. The Collins class has a finite life and if we embark on an under-resourced transition we stand the risk of having no operational submarine capability in the 2030s and 2040s. The lower risk starting point is to build up to 9 conventional submarines, which would require about 1,500 in the submarine arm, bulked up with additional marine engineering officers and technicians to provide the manpower base to undertake the transition to SSN. Modern conventional submarines, with air independent propulsion, carrying similar combat system and weapons can prevail against an SSN—the key factor is training and crew preparation. The manpower lead-time of 15 years for nuclear propulsion would require us to start now on the process to train/recruit the nuclear expertise and plan for the transition to facilitate a final decision in 2030. At that point the lead-time injected by the technical and logistic issues would entail a further 15 years before commissioning Australia’s first SSN, about 2046, in lieu of our tenth new conventional. Cost will also be a significant consideration. The cost of developing the infrastructure, sustaining the qualified manpower and paying the original IP owner for his investment will be nothing like the figure quoted to US Congress for an additional SSN. This cost is for construction alone; logistic, IP and overhead charges are supported out of the US Navy’s wider R&D, training and logistic budgets. 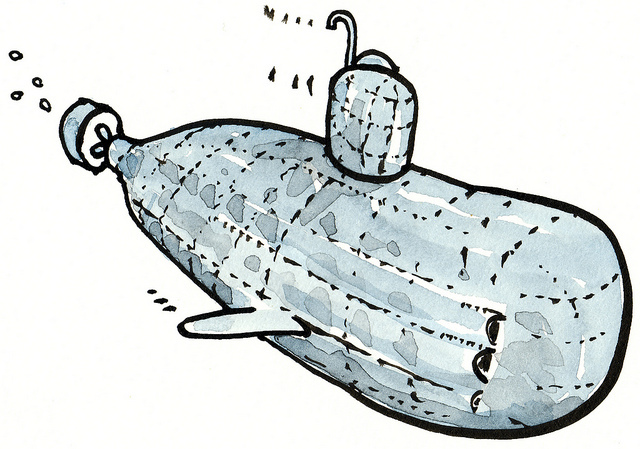 It is too soon to put a figure on an Australian SSN capability. Noting the cost of establishing the specialised logistic, training and education infrastructure, my instinct would be 4-6 times the cost of a conventional force of the same size. There’s a sound argument for seriously considering transitioning to nuclear propulsion. But we’ll need many more people and it’ll take years to grow the pool. We’d have to start with a larger conventional fleet first. Given the long manpower lead-time, the Government should direct national preparations now to gather the details necessary for a well informed decision on nuclear propulsion by 2030, with an eye on a possible in-service date of 2046. And we should anticipate paying significantly more than our current conventional submarine capability costs. Peter Briggs is a retired submarine specialist and a past President of the Submarine Institute of Australia. Image courtesy of Flickr user Frits Ahlefeldt FA-L.com.